When I was talking about my 2nd list with people, I’d throw out a couple sample items. Often, I’d offer Chicken With 40 Cloves of Garlic as a sample. I got a lot of horrified looks. And a lot of “Wait…40? 40?”. 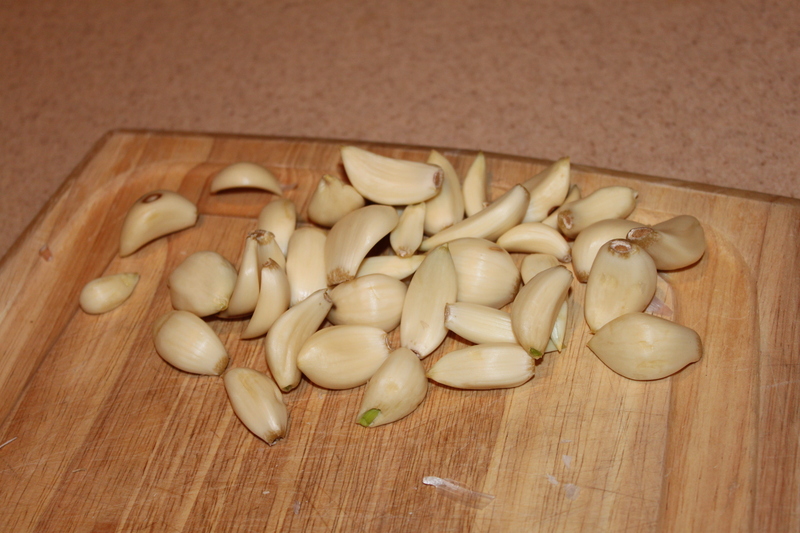 Yes, we’re using 40 cloves of garlic, kids. And yes, you will still be able to kiss that certain someone. Well, unless that certain someone is Edward Cullen (keep dreamin’ sister) Then you might have problems. Annnnnyway, let’s get started. I used a couple recipes for this project. One from The Joy of Cooking and the other from my new favorite cookbook, The New Best Recipe Cookbook from Cook’s Illustrated. 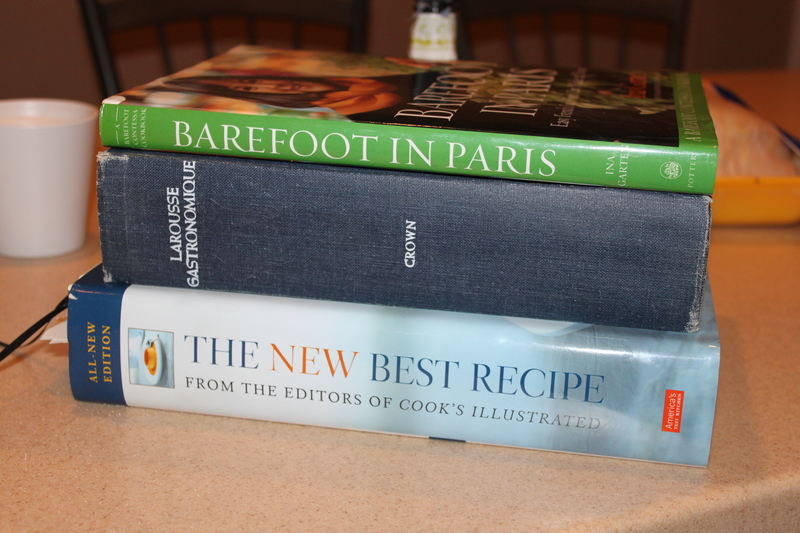 And finally, I went to the lady herself, with Barefoot in Paris, by Ina Garten. First, your pieces of chicken get seasoned liberally with salt and pepper. 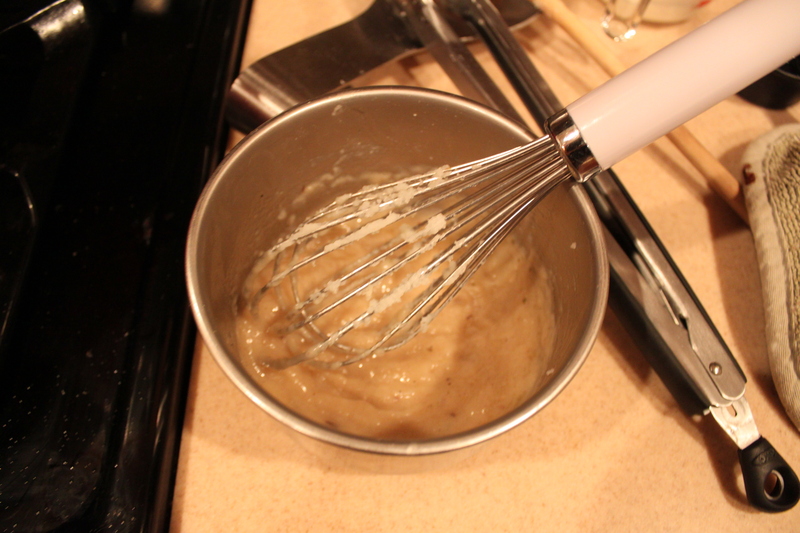 Then cook them in batches, a few minutes on each side. Set them aside and cover with foil…..we’ll get back to this in a bit. Dutch oven with 40 cloves of garlic. And a little bit later…. 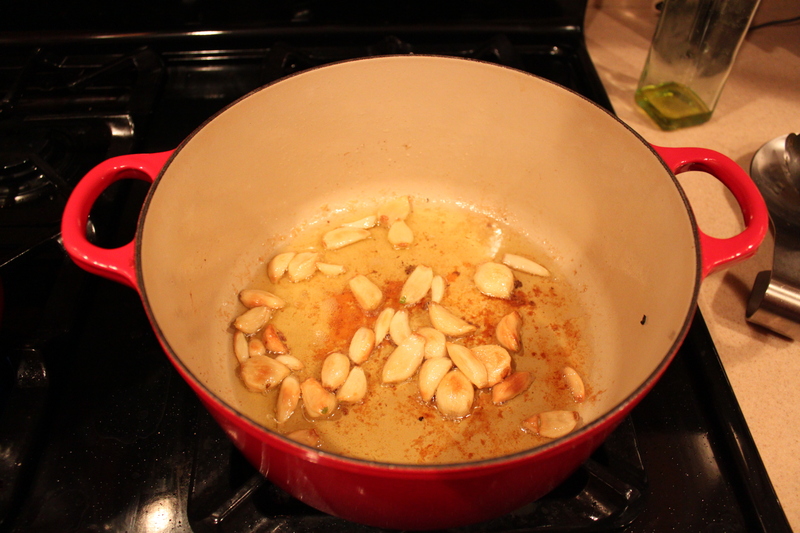 The garlic gets soft and browned and it just smells different. It’s softer and smells roasted and rich. Mmmmmm. 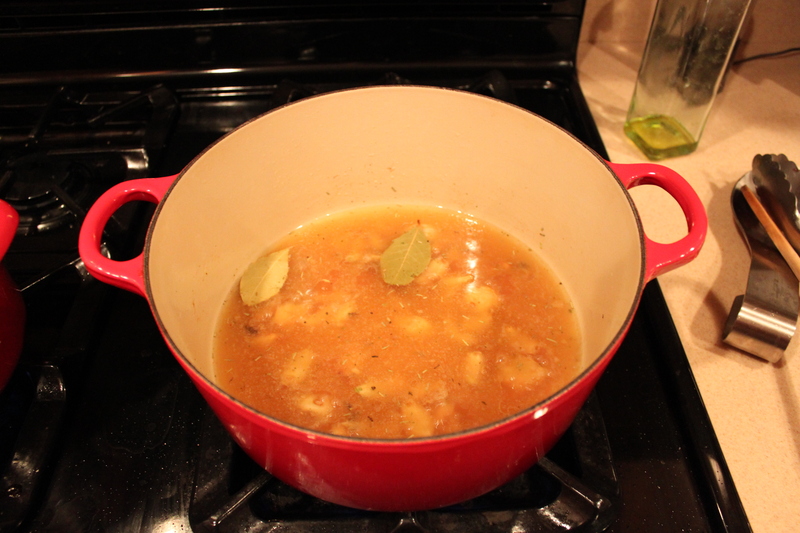 Now on to the next step…..
Add your liquid to the pot: a mix of dry white wine and cognac. Add this to the pot with the garlic, your thyme and bay leaves and bring to a boil. Garlic and wine. Win and Win. The chicken now gets returned to the pot. My chicken just barely fit in there, but I moved it around every once in awhile. 30 minutes or so, test with your thermometer to make sure you won’t poison anyone, then pull your chicken out of the pot and set aside. So as I type this it is 10pm and I haven't eaten dinner and seriously this could not look any better. And now we’re ready to rock. Serve this deliciousness over mashed potatoes (because why wouldn’t you) and with slices of crusty bread (because the more carbs the better). So how was the chicken? Pretty good. Juicy and roasted, but the real star was the sauce. 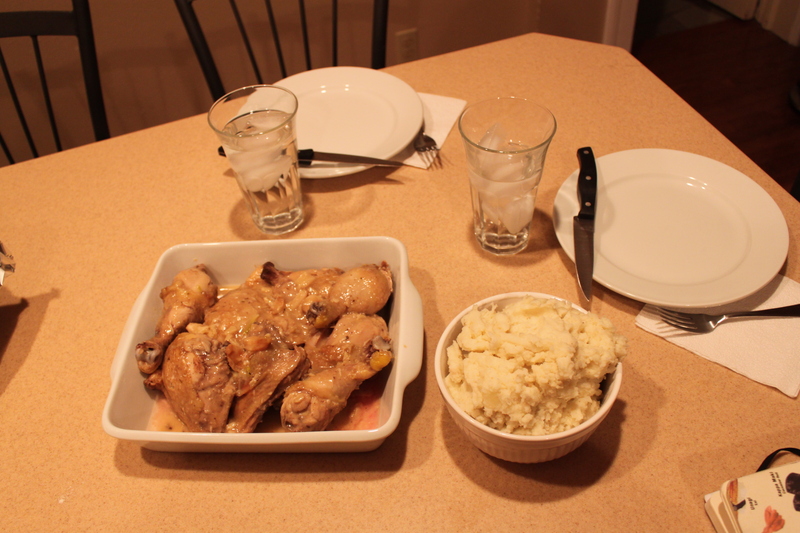 And its really weird to write this, but it really didn’t even taste that much like garlic. This was a totally new kind of garlic. UNFORESEEN BONUS: Garlic. Is. Amazing. 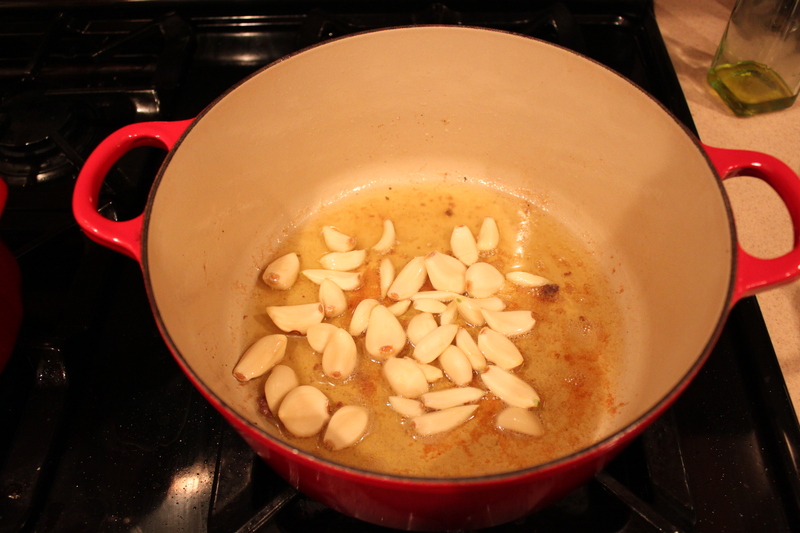 Cooking garlic this way makes it so incredibly soft you can smear it on bread with a knife. For real. Do it. 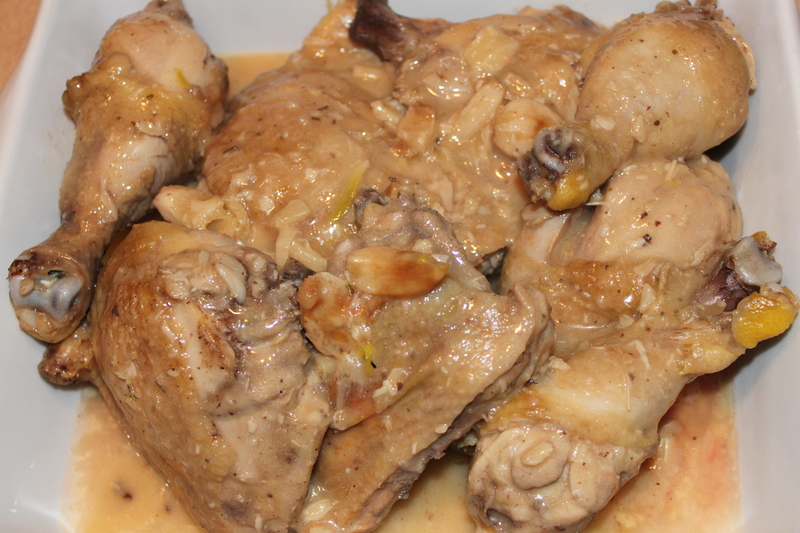 So try Chicken with 40 Cloves of Garlic if for no other reason than it will be a totally different garlic experience for you. And you can make out with your vampire boyfriend afterward. p.s. As usual, thank you for being patient with my intermittent blogging. Work is a liiiitttlle rough right now. You guys are the best.